Every child at some point should learn to ride a bike. The traditional approach of a bike with training wheels requires time, patience and band-aids! 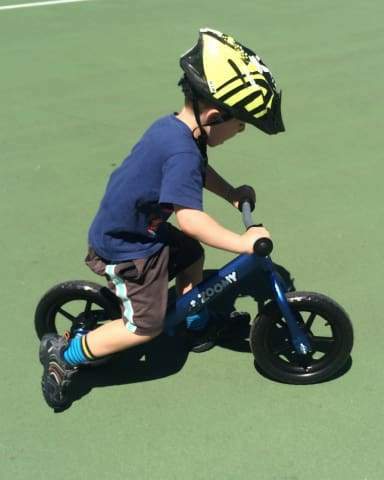 Balance Bikes are a much better alternative: kids are able to develop their sense of balance without the fear of falling and then when they're ready, they can transition to a push bike without ever having to use training wheels. Zoomy Leisure Kids Balance Bikes are just about the safest available. They're lightweight and easily adjustable, making them a perfect gift for kids from 18 months onwards! At only 2.0 kg, Zoomy Leisure Balance Bikes are about 1 kg lighter than most other Balance Bikes! The lightweight aluminium construction, paired with a rust-free anodised sapphire finish, maintenance-free sealed ball bearings, quick release clamps for seat height adjustment, and puncture-free composite tyres will give your children years of safe, fun and carefree enjoyment of their balance bike. Our bikes are not painted, but rather anodised with a sparkly sapphire finish. This means the paint won't rust or chip! All Zoomy Balance Bikes come with free shipping and a 90-day exchange or full refund policy. Bike was despatched the day after ordering and is completely as described. It is so light! My 4 year old loves it. Recommend highly. Our daughter had this bike for not even a day and could ride a normal bike by the end of the day. Well worth the money to teach child balance. Luckily we have 2 more sons who will use when they're old enough too. Hi Candice, we're glad to know that your daughter was able to easily balance and rode our Zoomy Balance Bike. It is built to last for years so you can definitely pass it on. 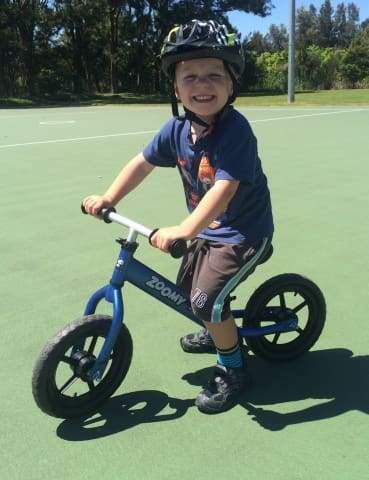 We really appreciate you for taking the time to let us know that our Zoomy Balance Bike indeed has served its purpose. Thank you! Very disappointed, the wrong seat came with the order, which compleatly stuffed up my chances of getting it to my daughter, have asked for new set to be sent , never again, would not recommend!! Hi Jason, We're really sorry for the inconvenience. Unfortunately our manufacturer included the wrong size seat in the box (mistakes happen!). You contacted us after discovering the seat did not fit the bike and we immediately agreed to send you a new seat free of charge. We haven't yet sent it though because you asked us to delay sending it until you returned from your trip overseas. We will send you the new seat on the 10th of April as requested. Hopefully once you get the new seat your daughter will enjoy her bike. Once again, apologies for the mistake. The bike came with the wrong size seat. After several emails and several weeks we received a replacement seat the correct size but no apology and our daughter missed her timeline of getting the bike in time for a present. Hi Charlotte. Sorry to hear about this. When our manufacturer has included the wrong seat in the box, we immediately took action and apologized to all our affected customers. We also sent replacement seats right away. Rest assured that this will not happen again. We ordered four of these bikes for use in a kindy, so far they are holding up really well to the constant use, the aluminium is so much better than our previous wooden balance bikes, and the paint is still in great condition too. The children love them and the colours are beautiful. Hoping that we will continue to enjoy their longevity and oder more in the future. 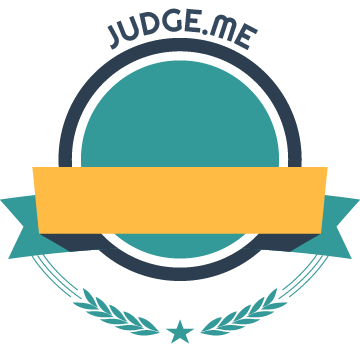 Hi Mona, Thanks for taking the time to write your review! The lightweight aluminium construction, paired with a rust-free anodised sapphire finish, maintenance-free sealed ball bearings, quick release clamps for seat height adjustment, and puncture-free composite tyres will give your children years of safe, fun and carefree enjoyment of their balance bike. We also have new and exciting products coming out soon, your children will definitely love! Please like our Facebook page - https://www.facebook.com/zoomyleisure for more updates. :) Cheers! Fabulous product! After being undecided on whether or not our 3 year old needed a balance bike we couldn’t be happier we made the purchase. A nice lightweight bike, my son has not stopped riding it since day 1. His confidence in balancing on it increased considerably only after a couple of days. Zoomy was fantastic to deal with & went above & beyond after an initial mix up with the order - can’t recommend Zoomy more highly.